Join our excellent team of Physical Therapists and Pilates instructors in preparation for a long and successful season on the links, free of injuries and bogies. The golf swing is a forceful and dynamic activity, involving many muscles and joints. 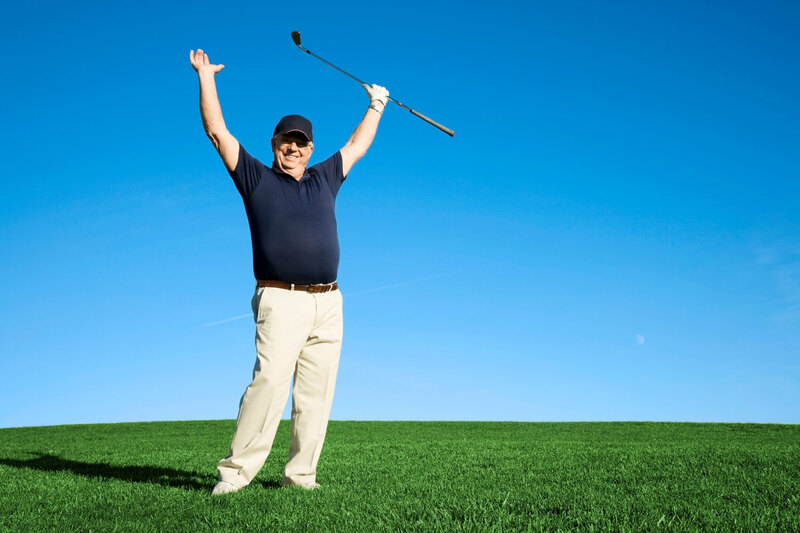 Consequently, there are many aspects of each individual’s musculo-skeletal system that have the potential to predispose a golfer to injuries and complications to the weak lower back, mid back, shoulders, and knees. What can we do for you as a golfer? With a thorough evaluation of your strength, range of motion, and posture, we can tailor an individual exercise routine specific to your needs by identifying areas that may lead to injury, and strengthening areas that will add power to your game. We will provide the knowledge and tools to prepare you for the season and maximize your potential…actually shaving strokes off of your score is up to you! An initial musculoskeletal screen from a physical therapist followed by an individual exercise plan tailored specifically to each golfer’s needs. Insurance can NOT be used for these services. Call our offices for costs and availability today so you can golf tomorrow.